By Jack Daniel on May 1, 2014 Culture, Legislation, Say what? The state of Florida continues to edge closer to passing some sort of reasonable medical marijuana legislation, but not everyone in the state is happy about it. We have been reporting on the totally predictable knee-jerk opposition from the state sheriff’s association, but as the Florida state legislature is beginning to make moves to legitimize the plant for medical needs, anti-cannabis groups have decided to enter the political arena as well. Drug Free Florida is an anti-marijuana group whose sole purpose is to oppose, and eventually defeat, the amendment scheduled for a vote this November to legalize medical marijuana in the state. Funded by a 6-digit donation from Mel Sembler (a local land developer, former U.S. Ambassador to Italy and Australia, and long-time money bundler for the Republican Party), the group’s ties to the GOP do not end there. The head of the fledgling group of prohibitionists is a man named Carlton Turner, a 73-year-old creep who holds the dishonorable distinction of serving as a drug czar in the mid-80’s for then-President Ronald Reagan. 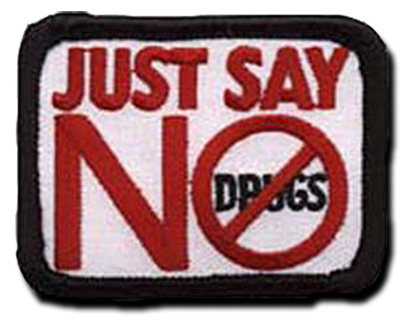 Word is, the iconic phrase “JUST SAY NO” was Turner’s creation, and was then co-opted by first lady Nancy Reagan to launch the miserable failure that has been the War on Drugs. It was also during his time with the Reagan administration that Carlton Turner gave an in-depth interview to Newsweek magazine about the dangers of marijuana, and the various gateways he claimed that pot use would lead to. That article, published over a quarter of a century ago, has come back to haunt Carlton, as the most outspoken pro-cannabis group in Florida has begun to wave it around for all to see, hoping that the blatant misinformation and bigotry expressed by Carlton in 1986 will work to sway voters at the polls in 2014. In his defense, Turner says it’s all a big misunderstanding, that the interview was botched and he was taken out of context, and that by pointing to it as evidence of any type of bigotry, his political opponents are simply showing that they have nothing else to work with. 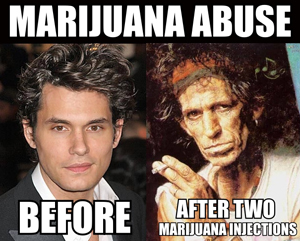 To be fair, he is correct; he never directly stated that ‘weed leads to homosexuality which then leads to AIDS’. Oh no, it’s way more vile than that. In the 1986 Newsweek interview, Turner talks about his time visiting with minors in drug treatment centers, and recalling that over 40% of them had allegedly engaged in homosexual activity. He then goes on to talk about how smoking cannabis weakens the immune system (false) and implies how that can lead to AIDS. 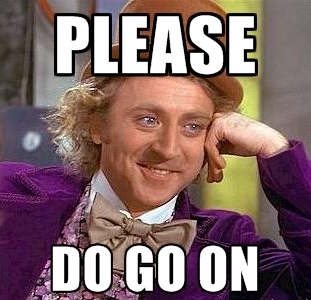 Fast forward nearly 30 years, and Carlton Turner is scraping the bottom of the barrel of right-wing Conservative welfare, still opposing cannabis, and now trying to defend the woefully ignorant claims attributed to him about the subject from his past. Now, with a chance to set the record straight, even in his continued opposition to the plant, Turner just kept digging. Regarding his stunningly stupid mid-80’s inference that smoking weed leads to AIDS, Turner chastised his critics saying of course it’s not smoking weed that causes AIDS, it’s the needle sharing. Turner’s commentary in 1986 was controversial enough to get him booted from the Reagan administration, and groups like United for Care Organization and concerned citizens across the state of Florida hope that the ignorant gray area between Turner’s past and present belief system will render he and Drug Free Florida irrelevant. Homosexuality, AIDS, and a castration fixation…do they even offer therapy for 73-year-old men?